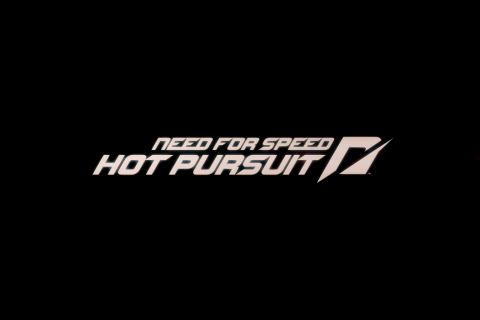 -Introduction-Electronic Arts just came out with there newest addition to the NFS. 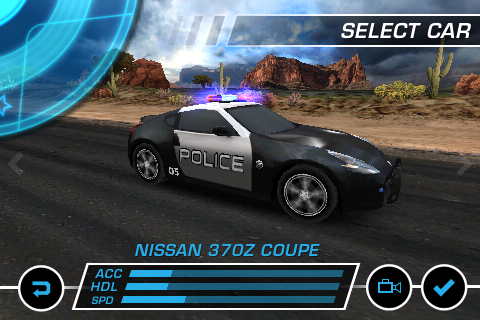 This game on the Iphone4 has great new graphics,sounds,and most of all the cars! 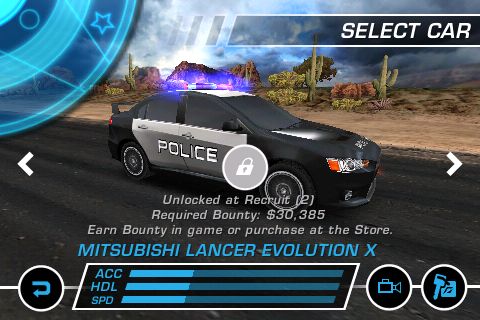 When the game first came out you was unable to play as a racer you had to be the cop but now with the new updated version you can play as either a racer or the cop! The games biggest selling point has to be the effects of the graphics. 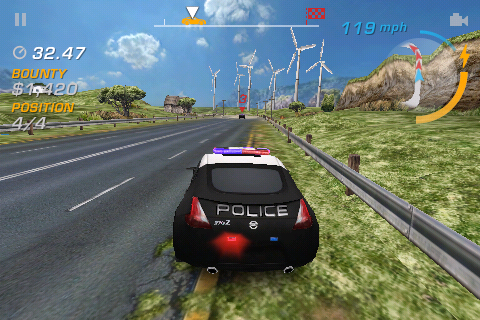 -Graphics-The game has outstanding graphics with the help of the iphone4. 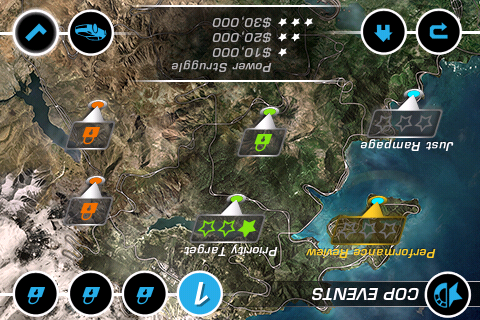 Although there have been reported problems of the having slower load times, and rare freezing.You have several areas of tracks to go trough from deserts to the coast and even the city. The main part has to be the racing cars, they are outstanding to see todays dream machines on an game. 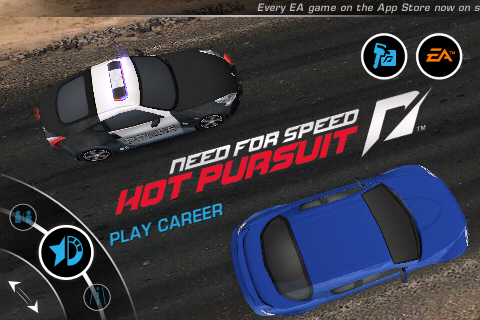 The game offers everything from a basic cop car to the new high powered lamborghini speed racer.When playing as a cop you have options such as spike strips,road blocks, and of course oil slicks. Overall graphics on the newer devices is outstanding and is what is making this game not only popular but ranking it on the itunes top ten! 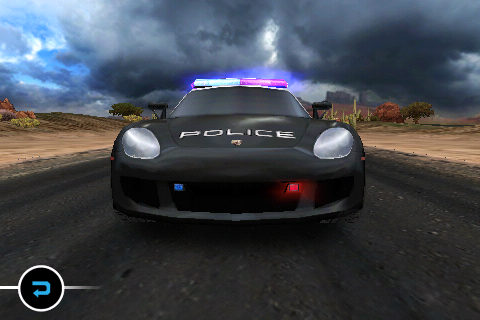 -Sound Effects- When playing the game what makes the most noise has to be the police sirens and the radio noise, which does not sound like much, but it does get a little irritating after a couple of min. The game does sound a lot better with earphones/headphones than just the basic device speaker.The music in the game is not the best but I’m looking for an update that allows you to add your own music soon.Overall the sound effects are a little irritating but don’t let this turn you away from an exciting game. -Gameplay/Controls- The game has a great interface and very basic controls, like most racing games you tilt to steer and touch to break. New features include auto-acceleration,auto-breaking. 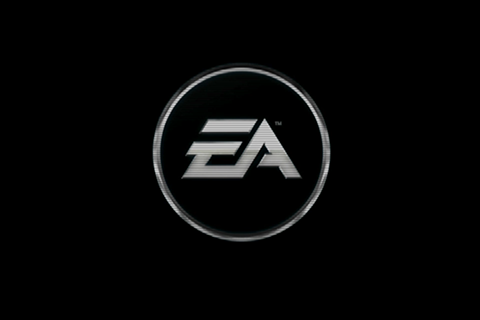 These new features keep the gamer less distracted on messing with controls and more focused on playing the game which is a plus for EA. 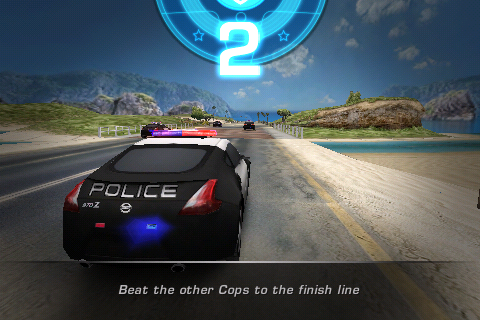 Types of racing events in the game is like most, checkpoint racing against other cops,hot pursuit, taking out multiple players and etc. 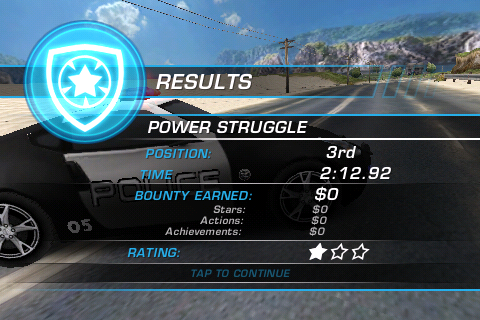 The awarding system is the game, the more you go through the events and racers the more cars and stats you unlock. 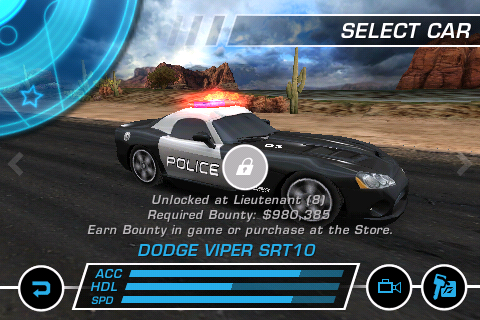 The leveling system is based on how much money you earn on each mission. You have a set amount to the next level which you must reach before proceeding. Overall the gameplay and controls are pretty acceptable! 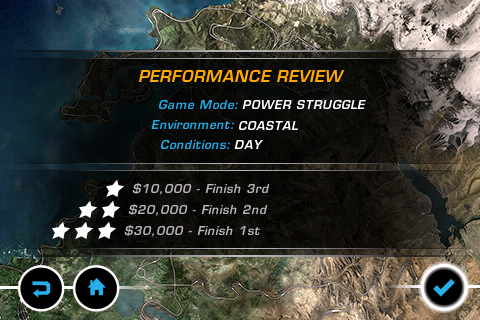 -Final Report- This is a great game among the racing games. 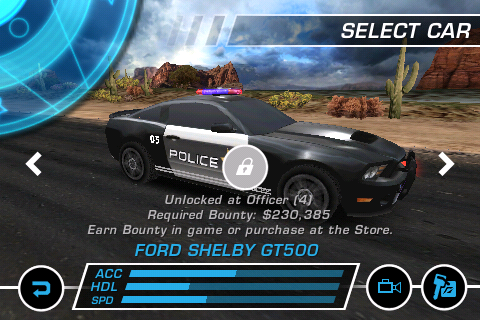 It combines great interface with wonderful graphics and great sound. My rating for this game has to be a 7/10. 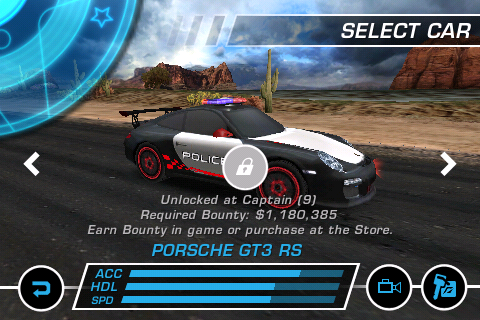 The things I don’t like about the have to be that it lags, and has quite a bit of bugs and a glitch here and there, but I would for sure share this game with any racer or car fan!!! !